Is investigative reporting in ICU? Deadspin stunned the sports and media worlds when it exposed football star Manti Te’o’s fictional girlfriend. The episode was achingly funny because it rang so true. But is it really so? It’s true that in the last five years, we’ve seen a drastic decline in the investigative capacity of American newsrooms. Hit by the twin blows of economic crisis and collapsing business models, newspapers and TV stations eliminated or downsized their investigative units. Yet at the same time, the muckraking spirit remains alive. In the past few months, for example, The New York Times, Bloomberg and The Wall Street Journal have published groundbreaking investigations on the wealth of China’s Communist Party leaders. For sure, these are the guys in the big league, but amazing digging is also being done by smaller news organizations, including the new investigative reporting nonprofits, some of which are collaborating with public broadcasters. We expect nonprofits and public broadcasters to do watchdog work. 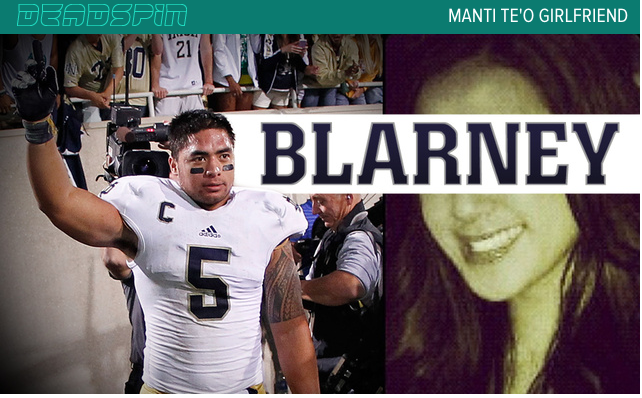 What’s surprising is that in the last couple of weeks, the Gawker affiliate Deadspin stunned the sports world with its revelatory report on Notre Dame linebacker Manti Te’o’s fictional girlfriend. The report, as its authors explained in a Pro Publica podcast, was the product of good-old-fashioned digging in the new digital realms of Twitter and Facebook. I know that a few swallows do not a summer make and that outstanding work notwithstanding, the anxiety even in the big newsrooms is palpable. The question in both for-profit and nonprofit investigative units is: How long can this be sustained? It’s a question that’s not possible to answer. We are in the midst of a media revolution. Clarity is rare in revolutionary times. Outcomes are not certain, and predictions are cheap precisely because of the uncertainty. Tempo Magazine is Indonesia’s muckraker par excellence. Last week, on a visit to the modest Jakarta office of the feisty Indonesian newsmagazine Tempo, I was told about one of the magazine’s proudest moments. Now Tempo has a lot of proud moments. Founded in 1971 in the glory days of the Suharto dictatorship, it has always been an independent and credible voice. In 1994, in what would be later remembered as marking the beginning of the end of the Suharto era, the Indonesian information ministry shut down Tempo and two other publications for reporting on a government purchase of overpriced warships. Banned Tempo journalists helped set up underground newspapers, an independent journalist’s association to counter the government-sponsored one, and because the regime hadn’t yet figured out the internet, a site called Tempo Online. ICIJ’s global, multiyear investigation is an example of the collaborations that will help watchdog reporting survive current challenges. I work in a journalism school, where exposure to the sound and fury of debates on the future of journalism is an occupational hazard. There can be lots of noxious fumes in some of those discussions, and so the essentials are often lost in the smoke. This was why going through the Columbia Tow Center’s Post-Industrial Journalism – a newly released and eminently readable manifesto on the future of the profession – was like breathing fresh air. To begin with, it restates what’s often taken for granted when these exchanges heat up: Why, in the first place, does journalism matter? There will, however. be fundamental changes in how this cadre will work and where, how their journalism is going to be distributed and how it will be funded. The report maps those changes, and its 126 pages are well worth a read. Suffice it to say that the authors envision a preeminent place for watchdog reporting and the institutions that do it. That place, however, is not guaranteed. It requires not just reporters who can produce high-quality accountability journalism but also institutions that can sustain them. For sure, the newsrooms of the future will be smaller, with far leaner budgets than they do now. They will therefore have to do more with less. The report makes clear that the ones that will flourish in the changed media landscape will be those that harness the power of the crowd, of computers and of collaboration.